Personalized at home treatment for instant hair transformation. 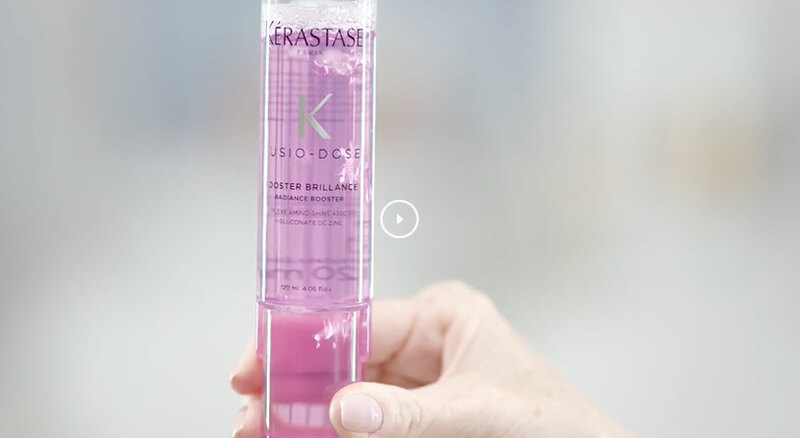 Exclusively available in Kerastase salons. Shampoo and rinse hair. Use this mixture as a replacement for conditioner. Spray the mixture onto damp hair. Massage into lengths and rinse out. Offering instant hair transformation, Fusio-Dose® Homelab™ includes 4 at-home treatments, giving your hair beautiful salon results – at home. Each Fusio-Dose® Homelab™ kit contains four concentres and four boosters which are prescribed by your stylist in salon. The ultra-potent concentre addresses your primary hair concern, and the booster addresses your secondary hair need to give your hair the best results.